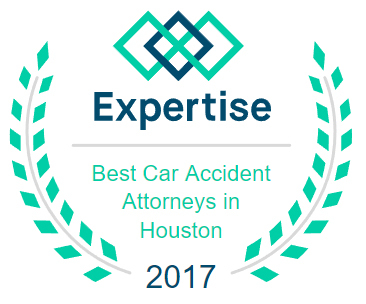 Recent years have seen an increase in serious injuries and deaths as a result of bicycle accidents in Houston. As more and more people seek green methods of transportation, Texas roadways have become populated with increasing numbers of cyclists. A cyclist is naturally more vulnerable than the driver of a vehicle and is far more likely to become seriously hurt or killed. 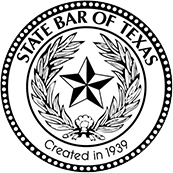 As a result, biking injuries are not uncommon in Texas. Burns are usually the result of a product defect of some type that led to fire and subsequent injury of the plaintiff. Burns can occur anywhere on the body and vary from first- to third-degree burns. Although fourth-degree burns exist, it is extremely rare to survive them. Loss of bodily function and emotional distress can all be taken into account for a burn injury case. Motor vehicle accidents are the most common form of personal injury and account for the majority of any personal injury lawyer’s cases. There are a wide variety of motor vehicle accidents. The severity of the accident will depend on the vehicle involved and road conditions. Negotiations with insurance companies and evidence collection are key parts in handling a motor vehicle accident case. A brain injury is defined as any damage done to the functions of the organ. They are not related to other types of head injuries such as open head injuries. In most cases, the victim will have suffered a functional defect as a result of the brain injury. This type of injury can occur in vehicle accidents as well as accidental structural damages. As an example, a man who was injured by a falling beam while shopping at the local grocery store can receive compensation from the company. A catastrophic injury is an injury that greatly changes the lifestyle of the victim. These injuries are usually heavily compensated for in a lawsuit. Mesothelioma is an aggressive form of cancer linked to asbestos exposure. Asbestos is commonly used in building materials andcan be brought back home to spouses and children on the clothing of construction workers. The cancer affects the membrane linings of the lungs and abdomen. There is no known cure for the disease although surgery, diet and chemotherapy can increase life expectancy. Those most likely to contract the illness are military personnel, rail road workers, construction workers and factory employees. Although buses can be extremely economical and eco-friendly, they still pose a risk to passengers. Bus drivers can lose control, leading to rollovers and serious injury. In severe cases, bus accidents can lead to multiple deaths. Those who work in dangerous construction zones can become victims of construction accidents. Property companies and construction companies are also responsible for the safety of passersby in their work sites. The owner of any business is responsible for the safety of their customers and all who pass by. Slip and fall accidents, drowning and other injuries incurred while on the premises falls under the category of premises liability. Workplace injuries encompass more than construction and other physical jobs. Workplace injuries can occur on the job with a huge variety of professions and environments. Even employees who work in a standard office-type setting can become injured while on the job in instances that could have been prevented by the employers. Nursing home abuse is a serious concern. Seniors who have been abused are 300 times more likely to die within three years after the abuse than their non-abused counterparts. Up to one in six residents of nursing homes are abused each year. The weakness of the elderly makes them vulnerable to those who wish to take advantage of them in some way. Wrongful death occurs whenever someone dies as the result of negligence on the part of the defendant. These cases can be complicated and require an experienced lawyer to win. These cases can involve anything from a tragic accident to the consumption of a harmful substance. Because there are many wrongful death cases, the techniques for handling each one will vary. Slip and fall accidents are related to premise liability and can occur anywhere from playgrounds to the mall. Proper signs and safety precautions are required in places where commerce occurs. 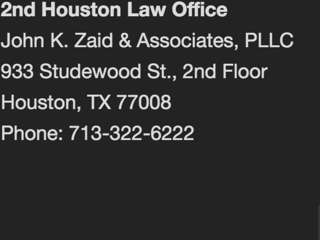 If you or a loved one has suffered a serious personal injury, we are here to help. 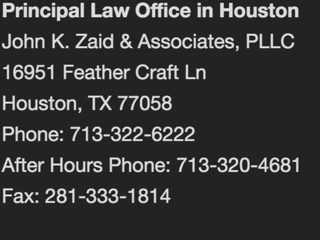 Contact us today online or by telephone to speak with a knowledgeable Houston personal injury lawyer. You may call us 24 hours a day, seven days a week to let us know how we can help you.